MAXIMUM AMOUNT OF SEA MOSS SHIP OVERSEAS PER INVOICE IS 15LBS. PER BOX. Home > SEA MOSS / IRISH MOSS > Sea moss 20lbs. Because of the Typhoon that hit the Eastern Pacific region in 2018, where most of the sea moss is dried on the sand on canvas there has been a disruption in the quality and texture of the sea moss. Therefore, to bring you the same quality it means we are losing up to 25% of the product in our screening process. Therefore we have up the price to cover some of our losses. We're also sorry for any delays in getting your product to you, as this process takes time against the high demand for our product. 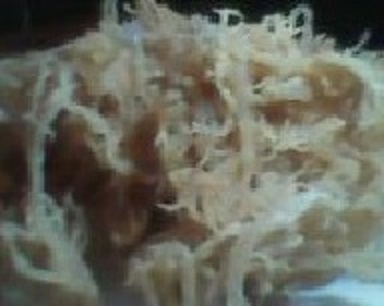 Sea moss or known in Jamaica as Irish Moss is a sea weed that's cultivated and harvested in the ocean. It's then spread over large areas and sun dried. There are no fertilizers or bleaching chemical used. It's naturally grown and harvested just for you. Sea moss can be used in shakes, as a health drink, as a thickener ingredients for cakes, ice cream, gravies, etc. Also, it can be used like Jell-O or simply eaten raw. Sea moss is wholesome, natural, God's gift to mankind right from the ocean. So try some today! We been here selling SEA MOSS on the internet since 2002 before others our price is constant and our quality superior. The process of spreading naturally grown seaweed, seamoss or to some irish moss over large areas in the sun for its naturally bleaching effect. Our producers adds no artificial fertilizers, chemicals or bleach in the drying or manufacturing process. This product is grown naturally in the ocean. Our Sea moss which is known in Jamaica as Irish moss is a sea weed that's cultivated and harvested in the ocean. Sea moss can be used in shakes, as a health drink, as a thickener ingredient for cakes, ice cream, gravies, etc. Also, it can be used like Jell-O or simply eaten raw. Sea moss is wholesome, natural, God's gift to mankind right from the ocean. Try some today! 1. 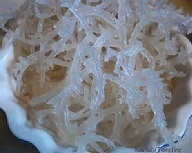 If fresh SEA MOSS is to be used, rinsed toughly to remove any residue then soak it for a few hours in water; rinsed again. 2. Simmer the moss in the water until tender. Then top up the water to the original level and bring to boil. 3. Strain the liquid through a muslin cloth or fine sieve. 4. Add sugar to taste, then the rum, milk, nutmeg. 5. Add enough strawberry syrup to make it slightly pink in color. 6. Transfer the liquid to a glass bowl and refrigerate until it has set. During the past year many customers have asked questions about SEA MOSS and we will try to answer them for you. 1. How do you store seamoss? a. SEA MOSS is best stored in air tight plastic bag, away from light. Do not placed your unused seamoss in the refrigerator this will be exposing the seamoss salt crystals to too much moisture. 2. What is the best process to prepare my seamoss? a. SEA MOSS should be washed off toughly with water to remove all non-seamoss residues. b. Then it should be soaked overnight or for at least three hours to open up the SEA MOSS and to remove any remaining salt. c. The SEA MOSS should be rinsed off for the last time before placing in your recipe. 3. What is the best way to dissolve my seamoss? a. There is no right or wrong way in which to dissolve your SEA MOSS. Some prefer to place the rinse SEA MOSS in a blender and liquefy before boiling; others suggested we boiled in water and stir constantly until dissolved. 4. How much seamoss should I use at a serving? a. Those familiar with consistency of commercially prepared SEA MOSS drinks we suggest to reach that consistency you should use about an once of SEA MOSS per 3pint of water and boiled down mixture while stirring for about ½ hr; strain off and sugar while hot, also add your flavorings. Copyright paj internet interprises - wifglobal. All Rights Reserved. eCommerce Website design by 3DCart.